My Big Freeze is your Big Bang? 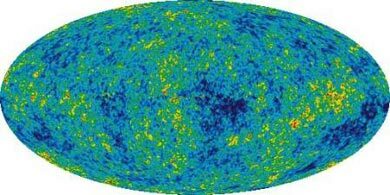 If I understand this new theory, and it's unlikely that I do, it holds that the anticipated end of our Universe, becoming infinitely large in a Big Freeze, will mathematically be simultaneously infinitely small, and result in another Big Bang. A respected scientist says the evidence for this is visible as circular patterns in the cosmic microwave background.